Soothing relief for sensitive skin. Gentle rebalancing cream cares for skin the natural way—with 90% pure plant extracts. A blend of Brown Linseed and Christophine moisturizes, comforts and calms redness and irritations. Leaves skin soft, smooth and radiant. Apply after Skin Beauty Repair Concentrate. Apply with light pressing motions, working from the center of the face outward. Avoid eye area. 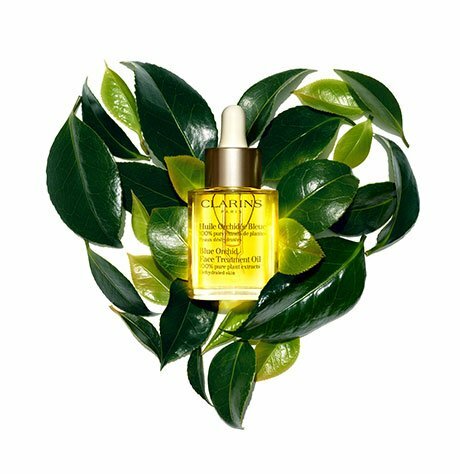 Skin-calming face oil formulated with 100% pure plant extracts to hydrate, tone and comfort. 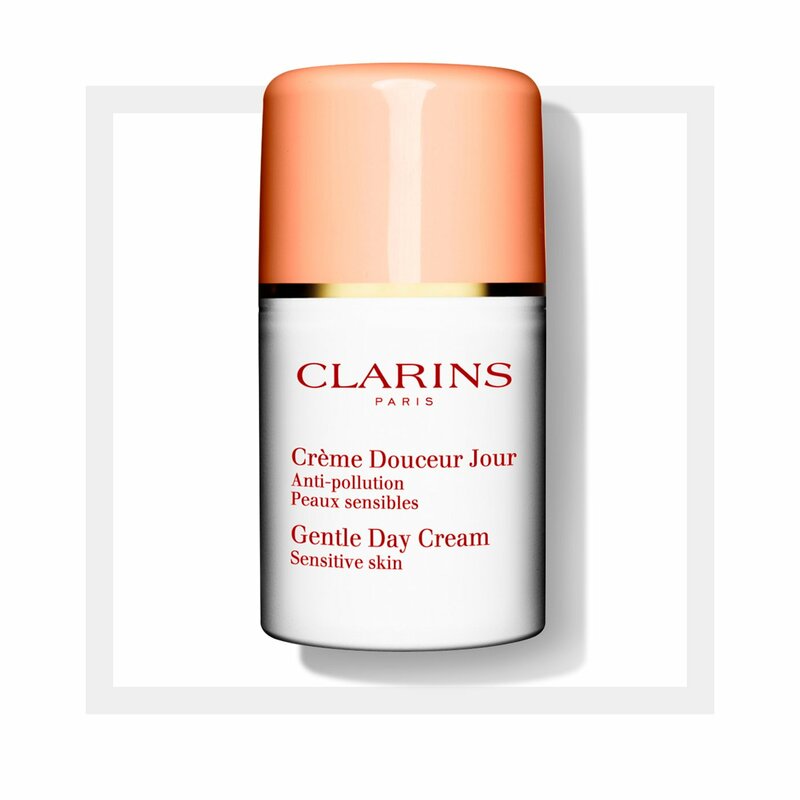 Rated 1 out of 5 by Gi1980 from Absolutely disappointed I love all Clarins products I’ve tried so far (samples and full sizes) but with this one I had some issues. The pump releases too much product. The texture is very awkward, the product stays on top of my skin, like a film. But the worst thing is the smell! It is like the cheapest chemical smell I have ever smelled. It is hard to believe this is a Clarins product! I will keep using it because it doesn’t irritate my skin and I need an after serum moisturizer but I won’t repurchase it. Rated 5 out of 5 by Sonia B from Amazing I have been using this for 4-5 years now. I swear by it. I never knew I had rosecea until I was in my 20's and tried Mary Kay products. Years later I tried this Clarins cream and it has worked wonders! I never break out. When I run out and go without for a week, my skin reverts back. I get compliments all the time about my skin. I wish everyone would try this because it has helped me so much - and that is why I'm writing the review. Rated 5 out of 5 by anntoinette from The BEST fo any skin, just too good to be true.....beautiful. Rated 5 out of 5 by Anjelika from Love it!!! This is my every day cream for many years!!! Love it!!! Rated 4 out of 5 by Sue202202 from 2nd best for sensitive skin next to YLB Great for those sensitive days - especially post-facials and waxing treatments that might otherwise get aggravated by your every day skin products. So, even though I don't need it every day, I always keep it in stock (now that the more nourishing Younger Longer Balm is no longer sold). Rated 5 out of 5 by besarabka from I truly enjoyed using this product. It moisturized my skin well. Overall, I am satisfied with the results. Rated 5 out of 5 by Trish from Wonderful Product! I have tried just about every sensitive skin product out there, and this is by far the best available! The others either irritate or do not adequately moisturize. I cannot say enough good things about not only the Gentle Day Cream, but also the Gentle Night Cream. Produces no redness or irritation whatsoever, and I am continually receiving compliments on my complexion.